Today I migrated my Sympathetic Threads blog from Blogger over to WordPress. Since I write and maintain several other WordPress blogs already, I decided that it would be easier to just consolidate everything in one place. 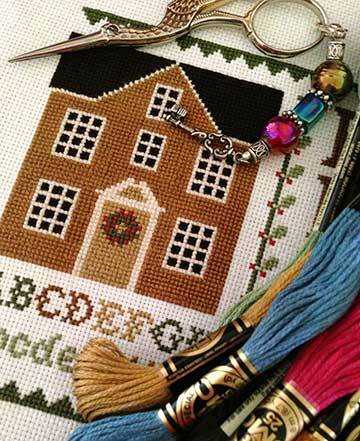 I’m also hoping that this resulting ease of access will inspire me to post about my stitching more often. All it took was a quick glance at a help page and a few keystrokes and I was able to transfer all my posts and comments to WordPress. It couldn’t have been easier! Then the fun part started, as I created a few bits and bobs of artwork for the new site. There’s still more to do, but I wanted to go live with it right away so that I could let my old friends know. In addition, Sympathetic Threads can now be found on Twitter at @SymThreads.